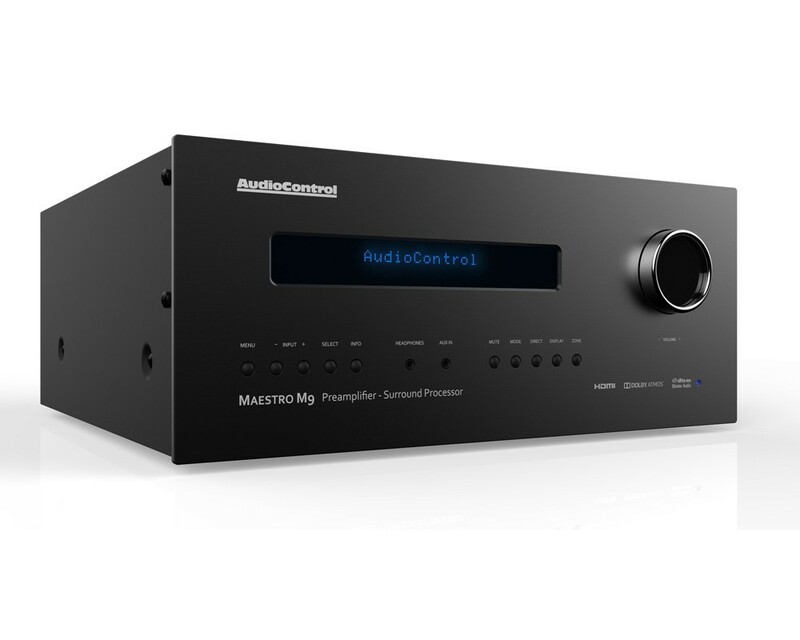 AudioControl’s Maestro M9 7.1.4 surround processor is designed and built in the Pacific Northwest for the most demanding home cinemas and listening rooms. 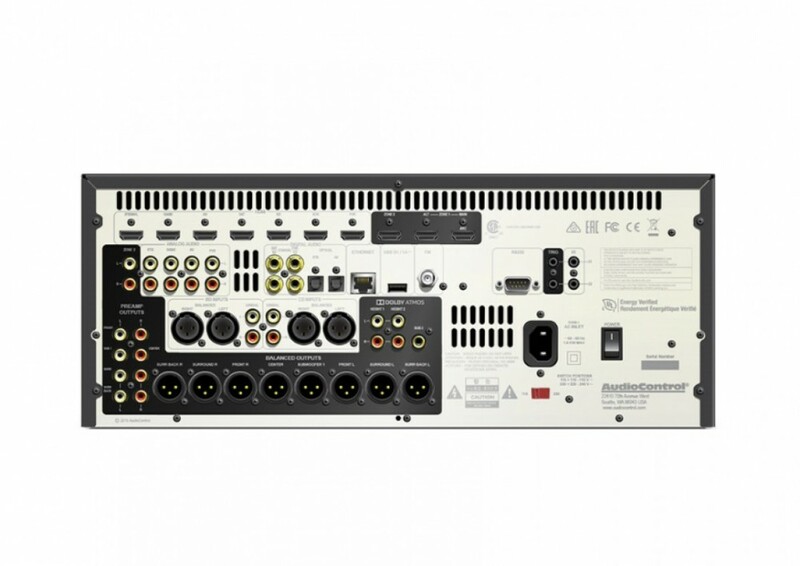 Featuring Dolby Atmos® and Dirac Live™ room correction technology, this incredible preamp processor supports today’s high resolution formats, including 4K Ultra HD at 60 frames per second, (compatible with HDMI 2.0a and HDCP 2.2) and delivers a movie experience rich in top tier audiophile quality. Behind the exclusive, contemporary design of the Maestro M9 is a dynamic audio and visual processor rich in sound quality that will leave users in awe. 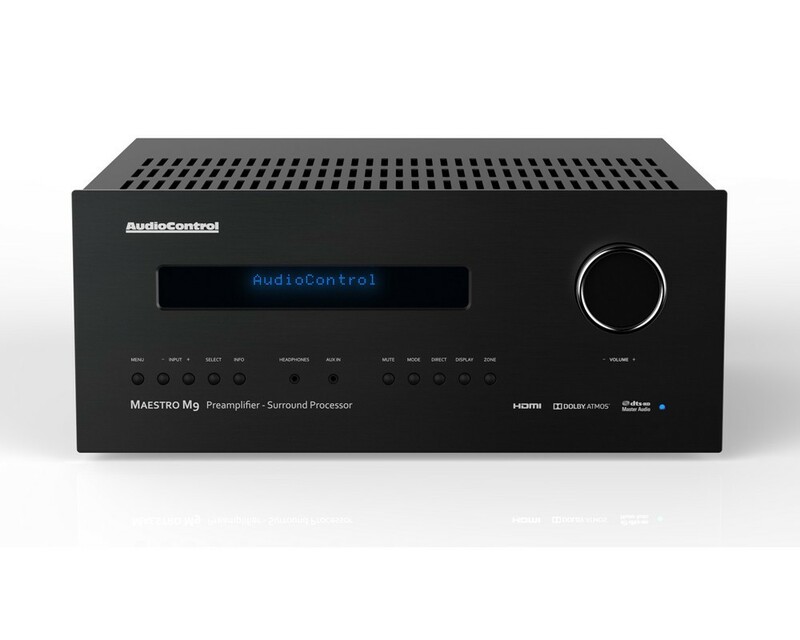 Featuring Burr Brown DACs and the very best in video processing and upscaling, the Maestro M9 will fill your home cinema or listening room with every detail that today’s movies and music have to offer and as the artist or director intended. The Maestro M9 paired with AudioControl’s legendary Savoy G3 Theater Amplifier or the Pantages G3 Theater Amplifier powering the worlds most demanding speakers will elevate the home theater experience to a new level of immersion, power and realism. Denna produkt avser Maestro M9 i utförandet Espresso Black Brushed Aluminium. Maestro M9 går även att beställa i svart, dock med längre leveranstid då det utförandet ej lagerförs hos leverantören. Kontakta oss vid sådan specialbeställning. 5 års garanti på AudioControl!